A 30-year-old woman was sexually assaulted in Edinburgh’s Royal Terrace Gardens during the early hours of Monday morning. The attack was reported to police at around 3.30am on Monday, 21 January. A cordon is currently in place around a section grass and pavement at Blenheim Place, near to the junction of London Road and Leith Walk, with two uniformed officers in attendance. 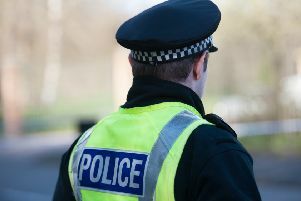 A Police Scotland spokesperson said: “Police in Edinburgh are investigating following the reported sexual assault of a 30-year-old woman in Royal Terrace Gardens. “The incident was reported to police around 3.30am on Monday, January 21.